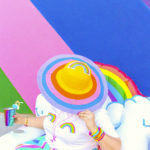 With the baby on the way, I’ve been thinking of more kid friendly crafts to make and share here on the blog. 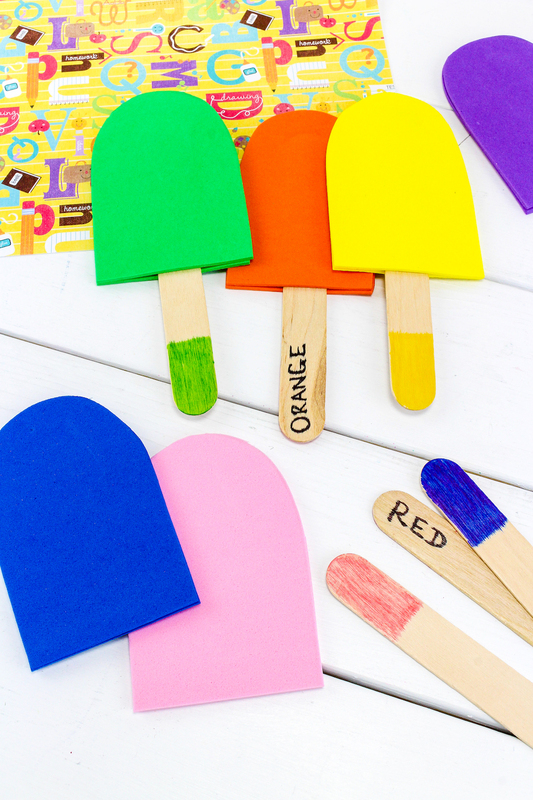 I’m not going to do a ton and become all baby and kids all day long, but I’d like to start sharing a few beginning with today’s DIY Color Matching Popsicles! 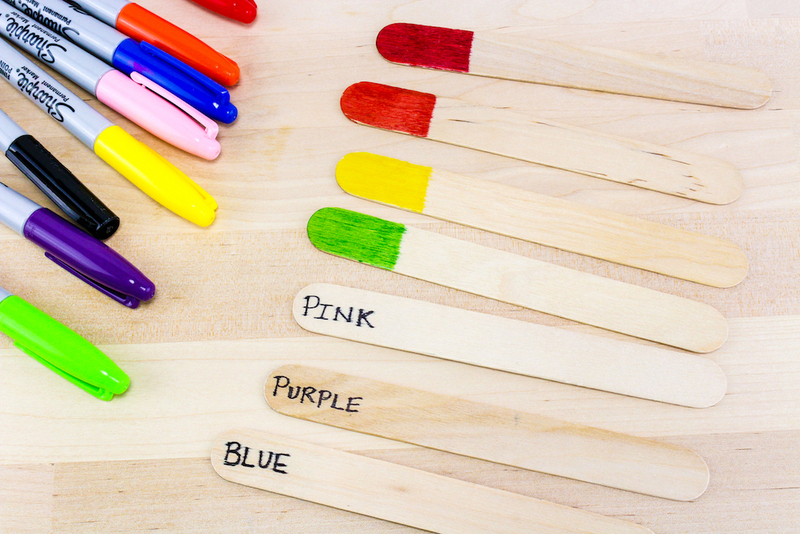 These are super easy to make and they make learning colors with kids so fun. And since I love me some ice cream and popsicles, I of course love them even more because they look like popsicles. They are one cute learning game! Here is how to make them! 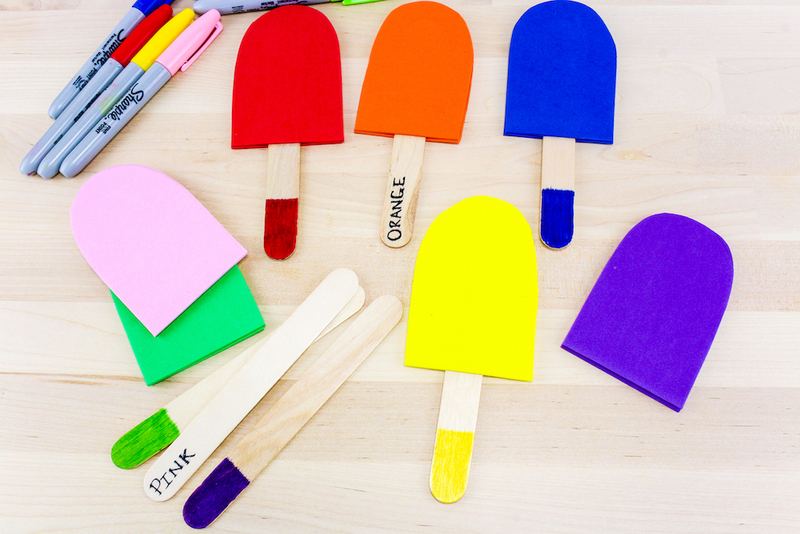 First you need to cut out 2 popsicle shapes from each color of the foam. Make sure the length of these are a little bit longer than half the length of the craft sticks. The size of mine were about 2 ½”X 4”. Then on one side of each craft stick, color the end with each marker color. I colored up about 2 inches from each end. On the backside of the stick you colored red, use the black marker and write the word red at the end of it. Repeat this step with all the other colored sticks. 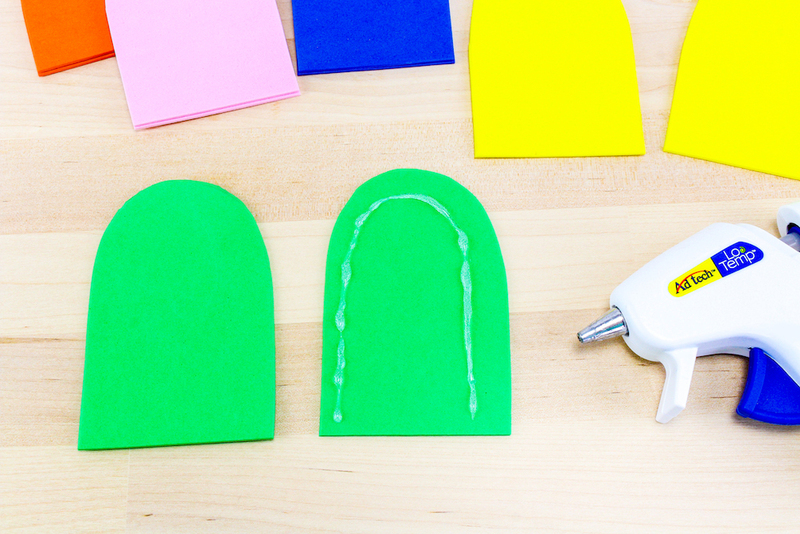 Next you need to glue together each of the sets of foam popsicle shapes. To do this, start with the red foam popsicles and put a line of hot glue around the edges of one of the pieces. Do Not put a line of glue along the bottom edge! This will be left open. Press the other red piece on top of that one so they are glued together. Repeat this with all the foam popsicles. Now you will be able to slide each foam popsicle onto it’s coordinating stick. 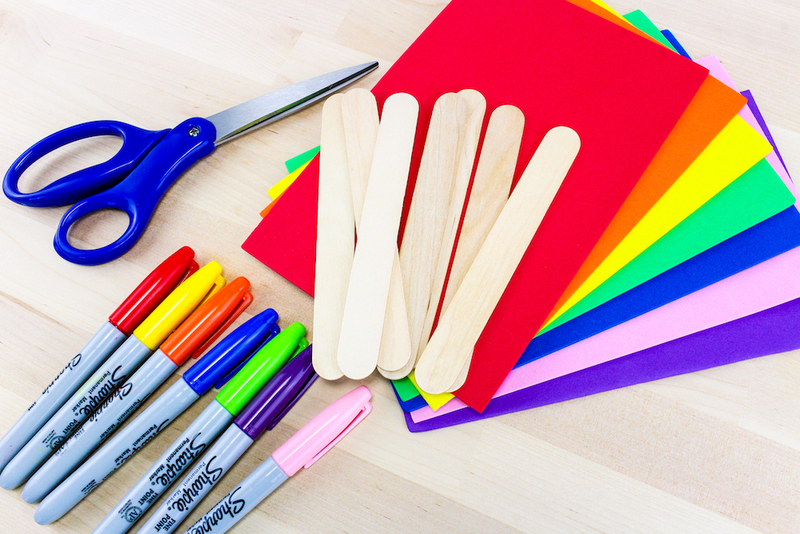 This fun learning game can be played by laying out the popsicle sticks with the colored side facing up. 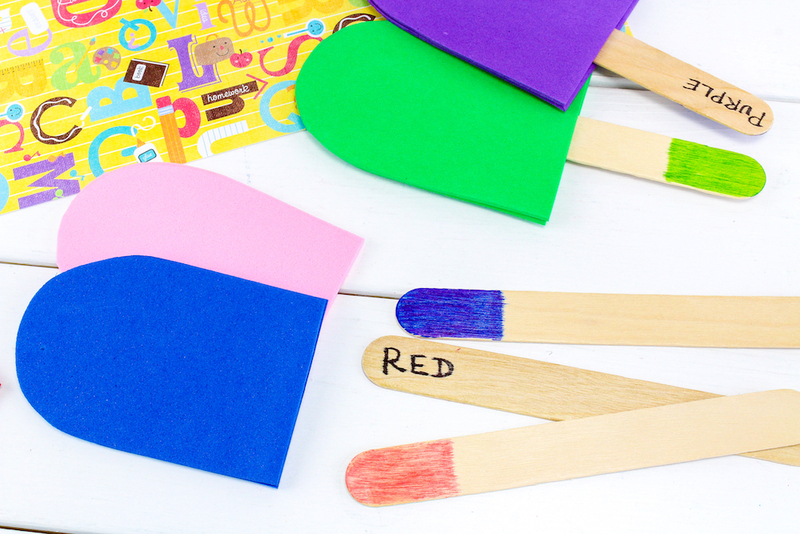 Put the sticks into the matching colored foam popsicle. 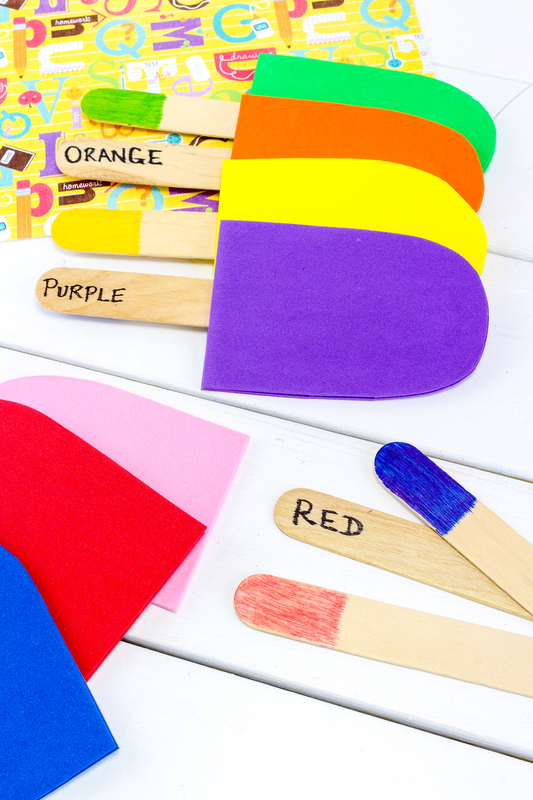 For a bit more challenge, lay out the popsicle sticks with the color words face up and put the sticks into the foam popsicles that match their same color word. 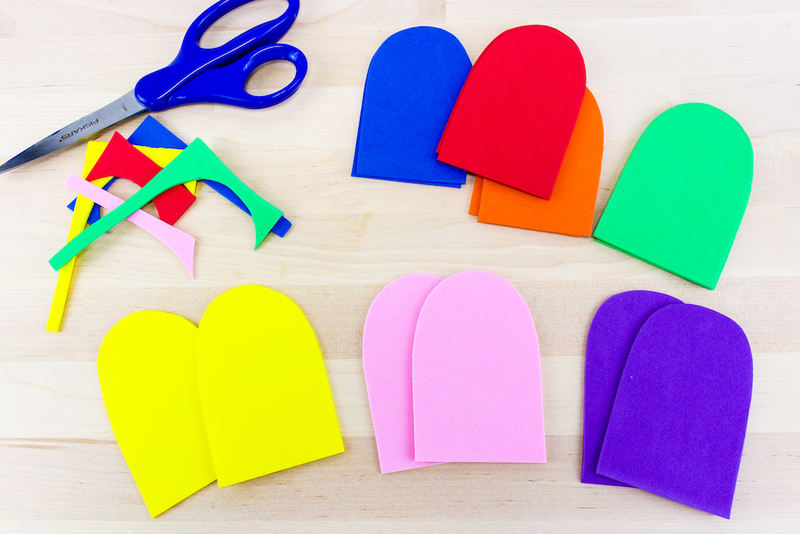 Easy fun learning craft to make for kids who are practicing colors! I hope you and your kids love them as much as I do! 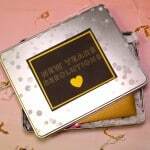 You can find more fun DIY’s HERE!